I am not sure how many of you remember, but awhile ago I did a review and giveaway with Natural House for Sinky, Trashy and Flushy. Each of these products worked very well and are natural household cleaning products. 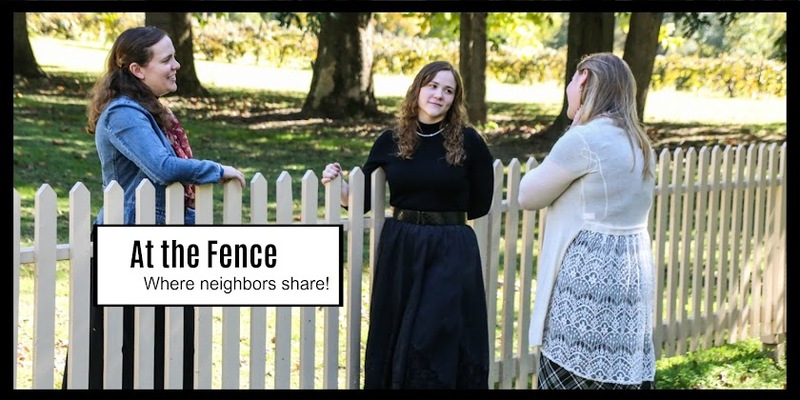 Now Natural House has another product they are allowing me to share here with my neighbors At the Fence. It is called Surfy. It is an all surface cleaner and like all Natural House products you can feel good about using it around your home. I received Surfy and was able to use it around my home. Surfy worked well, cutting the grease and grime on my stove top. Afterwards, I used Surfy on my kitchen garbage can lid. Somehow the lid never stays clean, and it is a major source of germs I am sure. You can see by my pictures how well Surfy worked. 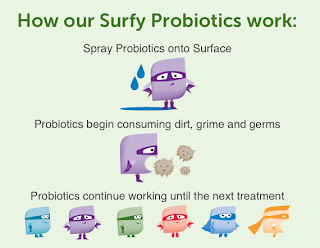 The part I like best though is because Surfy is Probiotic, it continues to clean even after I am done. 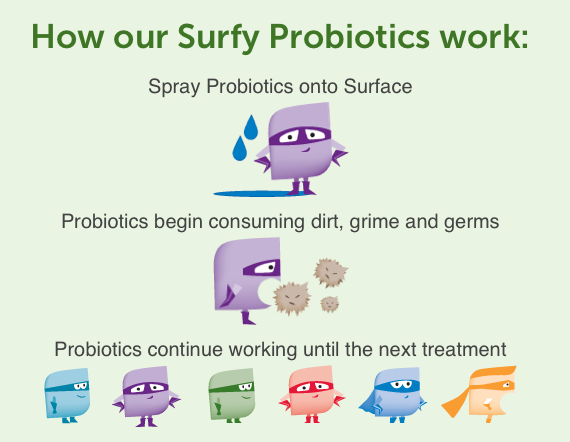 And Surfy can be used all over the house, from kitchen counter tops, to appliances and even bathroom surfaces. Are any of my neighbors interested in trying Surfy? You can purchase them directly from Natural House. Oh, and be sure to follow them on Twitter and "like" their Facebook page so you can stay informed about new products as they come out. One neighbor (US only) will receive a bottle of Surfy. Disclosure:I received no monetary compensation for this post. I did receive Surfy from Natural House for review purposes. All thoughts and opinions are mine. Quotes are taken from the Natural House email or website. I would use this on my stove and overhead fan as they always get greasy. Definitely on my stove and kitchen counters. This will definitely come handy in the kitchen. The stove always takes a beating when dinner is made! The kitchen, definately the kitchen. my kitchen neeeeeedddsss this badly. Looks like my kitchen and everything would be great for this. I would like to use it in my bathroom. I will use it in the kitchen. Thanks for the giveaway. I would most likely use it in the kitchen. The stove for sure !! I would use it on the stove and refrigerator. I would definitely use this on the stove and around the kitchen! our kitchen. it is scary. I'd probably use it in the kitchen. I would use this all over from my stove to bathroom! I'd use this in my kitchen.